Your health and the health of your love ones is extremely important! Consider using good supplements to boost your immune system, improve your strength, stamina, longevity, reduce medical expenses and harmful side effects of some drugs. Increase your use of quality fruit, vegetables, probiotics, Vitamin D3, Omega 3 fatty acids, vitamins and minerals. 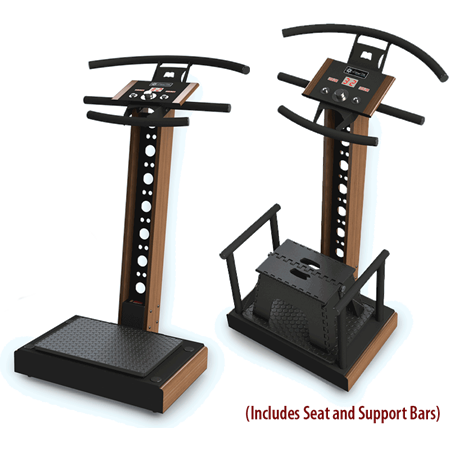 Developed with inputs from Physical Therapist and Doctors. See how others have been greatly helped. Please click on the following for more info? Increase your energy, improve sense of well being and stay more healthy through proper mineral supplementation. Did you know that many hard vitamin and mineral tablets may pass right on through your system without being absorbed. Powder in capsules or liquid supplements work better. These liquid minerals are readily absorbed. Minerals are essential for life and health. Improper type or amount of minerals could account for many diseases. These super small particle size (much smaller than colloidal) minerals are ionic, water – soluble ready for the body cells to use. They contain very pure minerals and water with no fillers, binders or chemicals. Some items are available in extra strength 4X Quarts instead of gallons. Same total amount of minerals in either size. The minerals are 4 times stronger in the Quart bottles with much less weight and volume to ship. If you use 1 teaspoon of the regular strength, then only use 1/4 teaspoon of the 4X quart size. Boron G310 Pint, G311 Gallon - Good for mineralizing bones; memory and brain function. Estrogen regulator. Calcium G312 Pint, G313 4x Quart - Needed in every organ of the body. Cobalt G316 Pint, G317 Gallon - Increases effectiveness of glucose transport from blood into body cells. Copper G318 Pint, G319 Gallon - Helps rid body of parasites. Germanium G320 Pint, G321 Gallon - Facilitates oxygen to body organs. Gold G322 Pint, G323 Gallon - Enhances body's natural defenses against illness; helps body relax. Iodine G324 Pint, G325 Gallon - Mainly affects the thyroid, but protects the brain by destroying harmful toxins. Notice: Iodine is light sensitive and must be stored in amber or dark bottles. Only the pint size comes with amber bottle. The gallon size is a clear bottle with a black plastic bag around it. The iodine will get weaker with light exposure. Iron G326 Pint, G327 Gallon - Necessary for healthy blood chemistry and essential for recovery from illness. Magnesium G330 Pint, G331 4x Quart - Aids in relaxing nerves, relieving tension, assisting digestion. Manganese G332 Pint, G333 Gallon - Aids memory and brain/nerve functions. Molybdenum G334 Pint, G335 Gallon - Instrumental in regulating pH balance in the body. Viagra effect. Platinum G336 Pint, G337 Gallon - Used in the treatment of cancer. Potassium G338 Pint, G339 Gallon - Critical to cardiovascular/nerve function. Selenium G340 Pint, G341 Gallon - Crucial for the proper functioning of heart muscle; evidence it can help fight cancer. Silver G342 Pint, G343 4x Quart - Boosts immune system; kills "bad" bacteria (anaerobic), leaving helpful bacteria. 2 tablespoons/gallon for water storage. Sulfur G344 Pint, G345 4x Quart - The healing mineral; aids every cell. Tin G346 Pint G347 Gallon Tin has been implicated in hair loss and hearing loss. Vanadium G348 Pint, G349 Gallon - Regulates the circulatory system. Water of Life G350 Pint, G351 4x Quart - Aids/promotes body's natural functions. Zinc G352 Pint, G353 4x Quart - Helps reduce healing time; supports immune system; stops bacterial/viral replication. These products are not intended to diagnose, treat, cure or prevent diseases.